The island of Hvar is a king among Dalmatian islands. Crystal clear sea, lush subtropical vegetation, nurtured vineyards, olive groves, and rich history make it a unique tourist destination. It is attractive to the people of all ages. Today, Hvar is considered to be one of the ten most beautiful islands in the world. Lush green vegetation, magnificently widespread all over the island - heather, rosemary, sage, pine trees, vineyards, olive trees that were there since ancient times, and the fields of lavender that can not pass unnoticed. 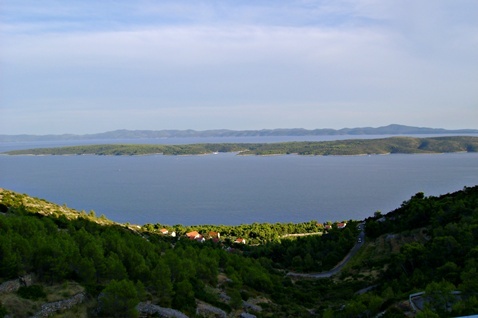 The island of Hvar has a mystical aureole of the natural beauty, and island's inland hide many caves and forests. The island of Hvar is known for its wines and dessert wines that can not be found anywhere else in the entire Europe. Hospitality of local people is incredible and worth of every compliment. The economy is based on tourism, fishing and agriculture (viticulture, olive growing and cultivation of rosemary and lavender). Whatever you are looking for on your vacation you will find it here; nightlife and architecture of the cosmopolitan city of Hvar, boat excursions to Pakleni otoci, sandy beaches near Jelsa, the combination of ancient and modern in Stari Grad, paradise beaches under the Zavala pine forests, exotic of southern slopes of the island in towns Ivan Dolac, Sveta Nedilja and Milna, the ambience of "small Venice" in Vrboska, drive through the fields of lavender near Gdinj, Zastrazisce (Zastražišće) and Bogomolje, peacefull hidden coves around Sucuraj (Sućuraj). This is only a fraction of the experience that awaits you.